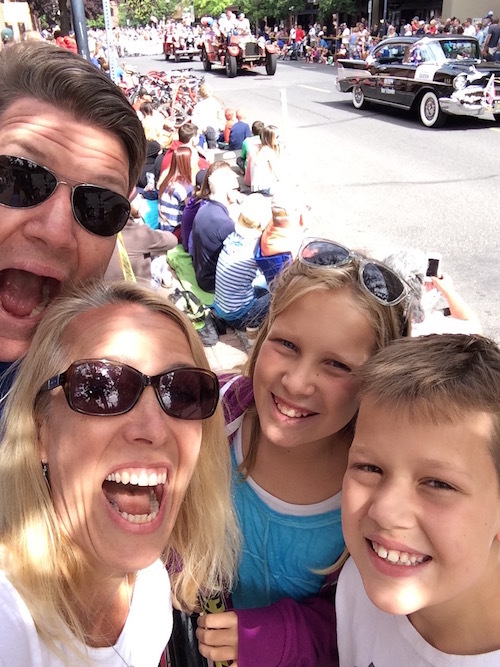 Last year our family spent July 4th in Bend, Oregon participating in all of the small town experiences you can only hope for on this All-American day. 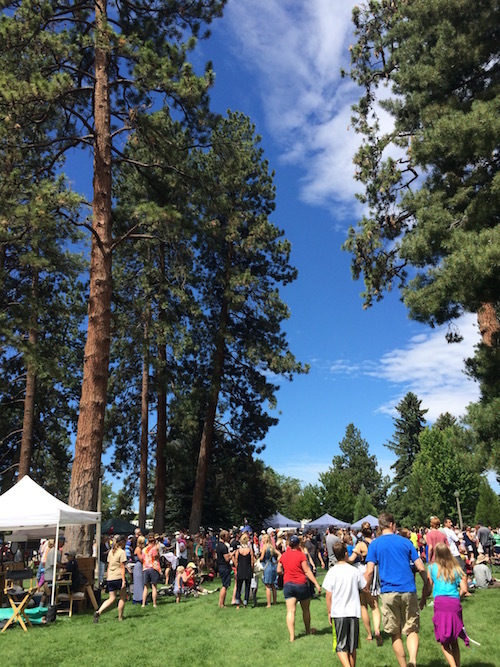 We walked among the Ponderosa Pines and ate too much junk food.We ran (and may have won - ahem!) a three-legged race.And, naturally, we went to a parade.But this was no ordinary parade; this was a PET parade!Oh my!!! Could you get MORE American than the ridiculousness of this?? It was beyond epic. 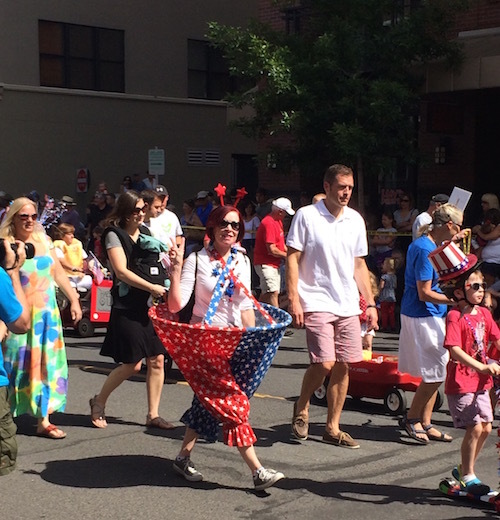 I wish everyone a parade today where the people IN the parade outnumber the people on the sidelines. 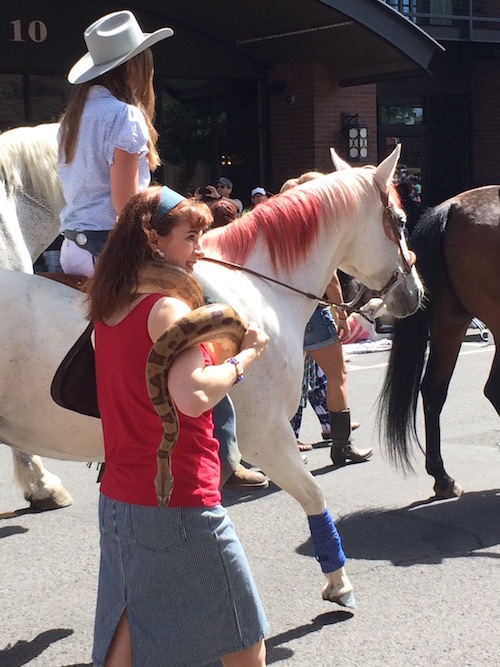 The folks in Bend show up with all KINDS of pets. 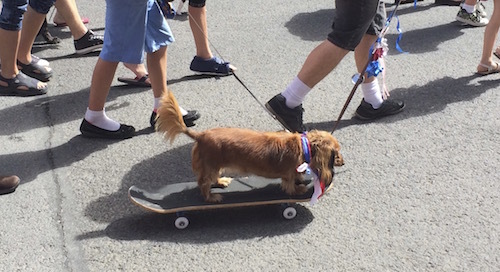 There are dogs on skateboards.And dogs in wagons.There are tortoises.Horses and snakes.Anything and everything you can imagine (except cats because, well, they are cats). 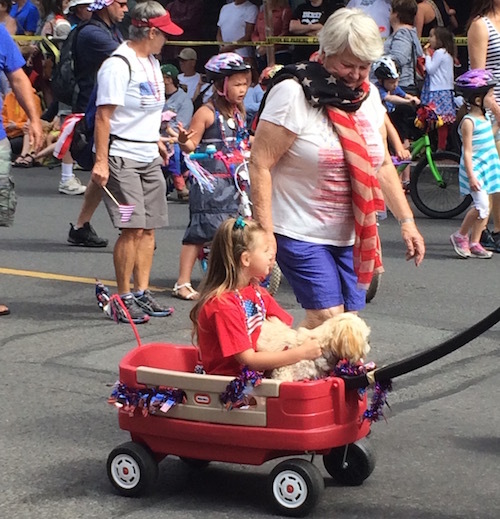 However, my favorite thing was the people who decided to participate even though they aren't, strictly speaking, pets. You gotta love people being awesome. 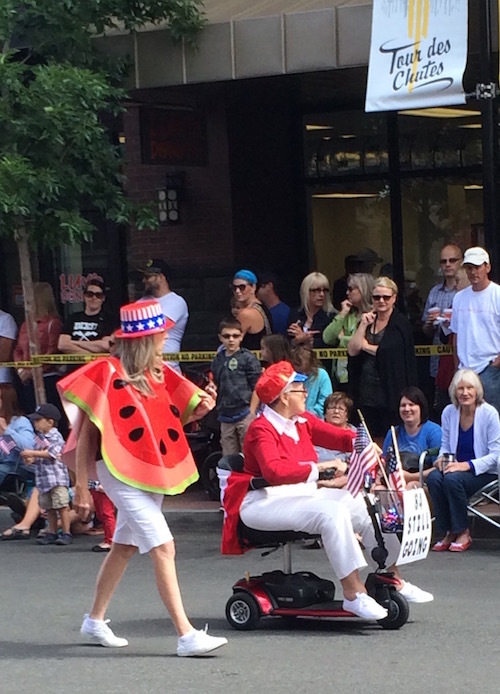 I mean, check out this lady on her scooter and her watermelon sidekick. They are seriously competing for most amazing.Then there's the unicyclist and her fellow riders. This outfit? Only on July 4th.However you are celebrating today, I hope you are grateful for our fine nation filled with amazingness and that you even may see a flying dog.God Bless America indeed! 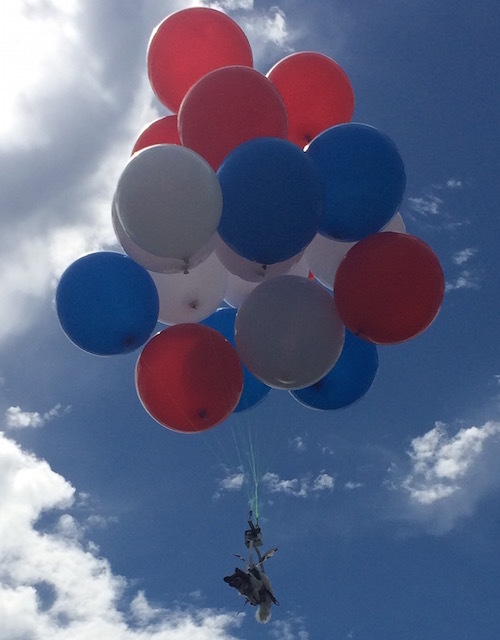 !Happy 4th!